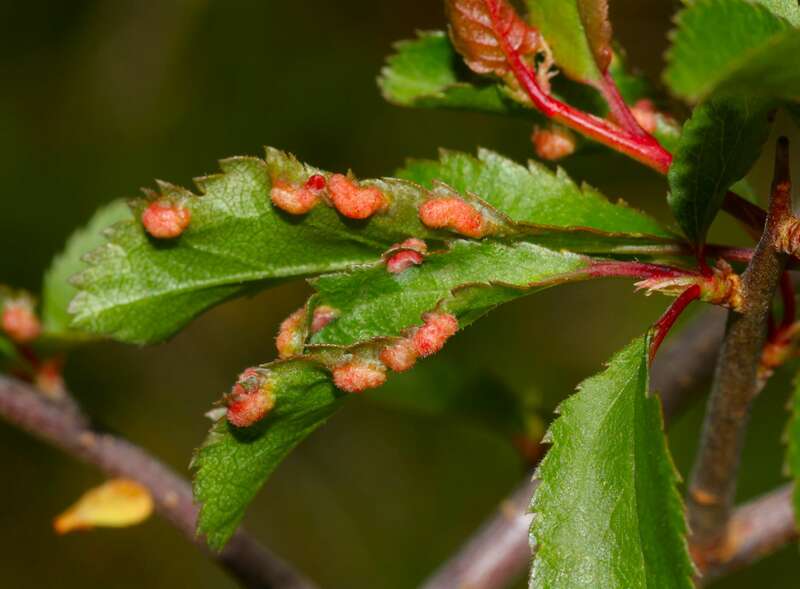 DESCRIPTION: Pinkish pimples found on the leaves of the host, particularly along the edges. The mites escape through apertures in the upper surface (which are fringed with hairs) and overwinter in bark crevices. Crowded galls tend to coalesce. DISTRIBUTION: Common throughout. Late spring to late summer. HABITAT: Common on Blackthorn, less frequent on Plum.